We all love to experiment with our cocktail! Many of us add those decorative and appealing cocktail garnishes in to the beverage, a few swipe garnishes from the bartender to make the mundane drink a bit more interesting or eat that slice of lime on the glass rim before we sip our cocktail, all of which is highly avoidable. We all love to experiment with our cocktail! Many of us add those decorative and appealing cocktail garnishes in to the beverage, a few swipe garnishes from the bartender to make the mundane drink a bit more interesting or eat that slice of lime on the glass rim before we sip our cocktail, all of which is highly avoidable. Read on to know why! Everyone loves to sip on to a nice beverage served in a beautiful glass topped with interesting garnishes. But, after you consume your beverage what do you generally do with the garnishes topped over the glass rim? 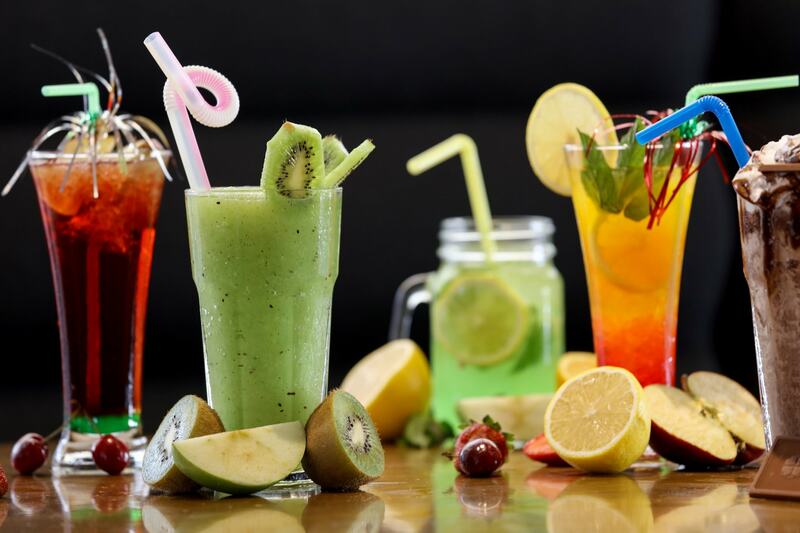 Read on to know why it is not a wise decision to eat those garnishes or add them to your drink. No matter how shiny they are or clean they look, bars are actually not the most hygienic places you visit. So, the sensible thing would be to avoid snacking on the garnishes placed in your bar area. This particularly goes out for all the fruits and the citrus wedges lying in the bar zone. In fact, all the cocktail enthusiasts unanimously second to avoid consuming the garnishes available at the bar. Particularly because nobody knows, for how long the garnish was lying there, or it has been handled by how many people and were the hands clean enough before the garnishes were picked up? We all have to understand and accept the fact that garnish in cocktails is not for snacking or to satisfy our appetite with. It is the drink that we are supposed to consume for enjoyment and not the garnish! Many people end up consuming even the peel of citrus fruits, of course in the name of experimenting with flavors. Well, citrus peels do taste good only coupled with chocolates and desserts or added to the beverage as an ingredient. But, eating this popular garnish just like that is an absolute NO. The essential oils of fruity peels may add an interesting twist to your cocktail but if you eat these peels you may destroy your taste buds before you even take the first sip of your beverage. 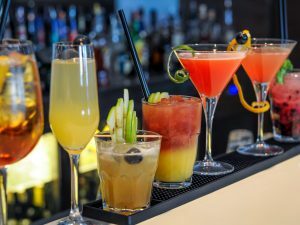 You may consume the garnishes that have been added to your drink but consuming the ones stuck outside or on the rim of the glass is completely avoidable. The herby garnishes such as the mint, thyme or basil are added to give you an aromatic experience while you are sipping the cocktail and are not to be eaten. Most importantly, do not pick up or steal garnishes from the bartender. It is extremely rude and demeaning for the bartender.